Easy for small hands to grip: The BABYBJORN Baby Cup is specially designed for the way small children hold cups and drink. Grip-friendly materials and distinct shapes mean that the cup is easy to hold. The rounded rim is nice and soft against their lips. The low centre of gravity and the wide, heavy base with rubber underneath keep the glass firmly on the table. The anti-slide edging means that the glass will not tip over easily. 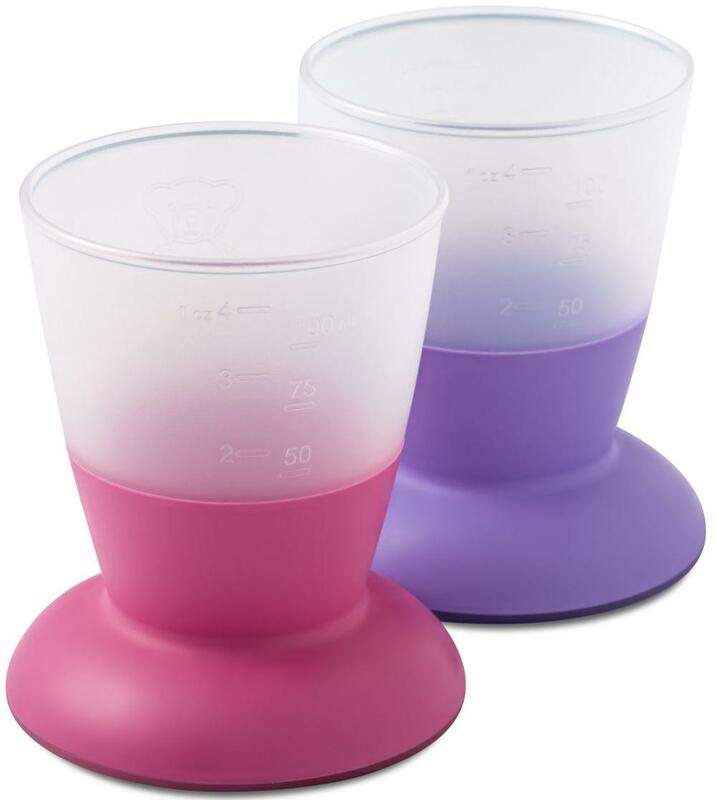 Easy to clean and measure: The Baby Cup is made from durable material that is safe for use in the dishwasher, freezer and microwave, to make your life easier! The cup has practical graduated markings in ml and fl oz and the frosted, see-through plastic means that you can easily see the contents. Tested and safe materials: All BABYBJORN Kitchen and Bathroom products meet plastic safety standards in both Europe and the USA. This means that the plastics are continuously and rigorously being tested for bisphenol A (BPA) and health-hazardous substances, and they are certified safe for foods. That’s important to us!